Blade Runner 2049 is off to a pretty solid start here in North America, raking in $4-Million worth in preview showings as of yesterday evening. The preview numbers for the long-awaited sequel, which stars Harrison Ford, Ryan Gosling, Jared Leto, Robin Wright and David Bautista, was 60% above that of 2015’s The Martian. Blade Runner 2049 opens in an additional 4,058 theatrical locations today and is expected to gross between $45-$50-Million in North America this weekend. Critical and fan response to the sci-fi sequel has been quite positive, with many calling the movie one of the year's best - a science fiction masterpiece for the ages. 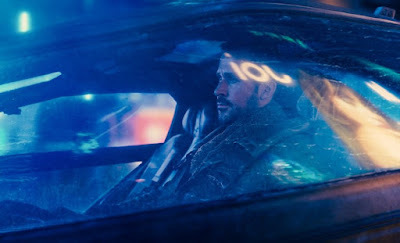 Blade Runner 2049 is a sequel to the 1982 film from Ridley Scott. It centered on Harrison Ford’s Rick Deckard tracking down escaped replicants. While it was far from a box office success, the movie has gone on to grow in stature over the years, and was even selected for preservation in the National Film Registry by the Library of Congress back in 1993. Will you be seeing Blade Runner 2049 this weekend?